While it is one of the more attractive weeds, Japanese knotweed, or Fallopia japonica, is also one of the most troublesome and problematic weeds in Edinburgh. The weeds can grow alongside both residential and commercial properties, and hit the local headlines when they were found growing amongst Edinburgh’s Garden District. Known to destroy property, Japanese knotweed can be safely and efficiently removed by the experienced KleerKut team. Why remove Japanese knotweed in Edinburgh? Japanese knotweed grows and spreads very quickly, so acting fast is the best way to prevent the weed from causing problems to homes and businesses across Edinburgh. At KleerKut, we’ve seen first hand how the weed can spread both underground and overground, and we highly recommend complete removal / eradication to prevent damage and avoid costly repairs. Here at KleerKut, we offer a fully comprehensive service, providing Japanese knotweed removal Edinburgh homeowners and business owners will be truly satisfied with. 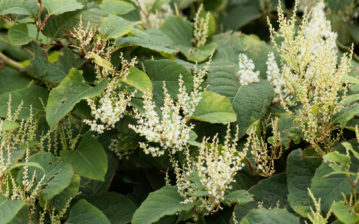 This service begins with free identification of the weed, as Japanese knotweed can easily be mistaken for other species, including the Russian Vine and Himalayan Honeysuckle. 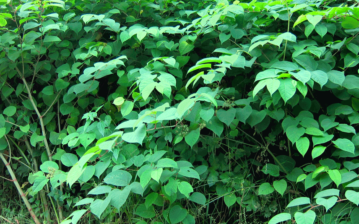 Once the weed has been identified, we use safe, effective, and approved methods to remove the Japanese knotweed and dispose of it appropriately. As registered waste carriers, we always dispose of Japanese knotweed as a controlled waste at Edinburgh’s designated licensed landfill sites, ensuring the weed is contained at all times. With years of experience under our belts in all aspects of weed care and clearance, KleerKut has fast become a leader in Japanese knotweed removal in Edinburgh. Using the safest and most effective chemical methods for a quick removal, our aim is to help you to protect your home or business, with minimal disruption to your day-to-day life. 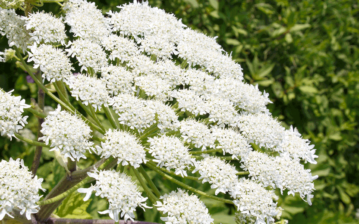 If you suspect that you have Japanese knotweed growing at your property or place of work, don’t hesitate to get in touch with the skilled KleerKut team who will be happy to discuss your needs, answer any questions, and arrange for free identification of the weed. Get in touch on 0141 319 8210, or email info@kleerkut.co.uk. Remember: the faster you act, the better! Japanese Knotweed is a seriously invasive weed, making it highly difficult to control and eradicate weed growth. To manage and control this form of plantation, it takes specialist knowledge, experienced methods and equipment.